Vietnamese asylum seekers detained in Northam will face immediate and indefinite imprisonment if the Australian Government rejects their claims for asylum, a visiting Vietnamese bishop said in Perth this week. 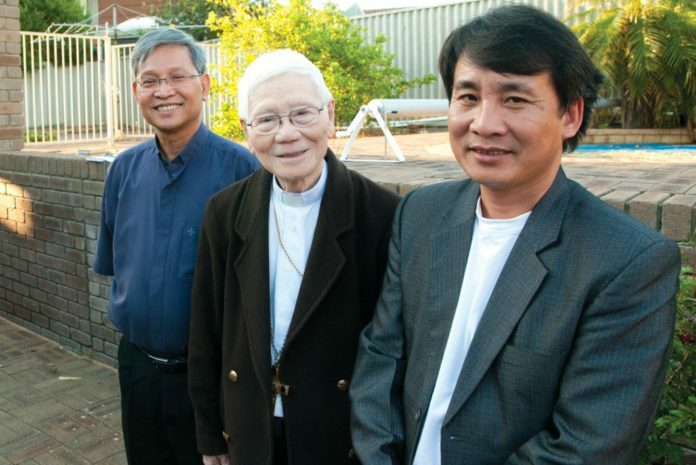 On November 4, Bishop Paul Cao Dinh Thuyen, the retired prelate of Vinh, spoke to 14 of many more detainees hailing from his diocese being held at the Yongah Hill Immigration Detention Centre, 5km out of Northam’s town centre. In an exclusive interview with The Record, Bishop Paul said the fallout from rejected applications would not be limited to detainees. The families of detainees whose claims were rejected, Bishop Paul said, would also face police harassment and persecution from government officials. 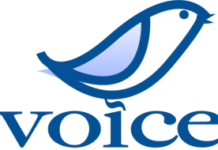 The government regularly threatened and imprisoned Catholics railing against suppression of conscience; compulsory and inadequately remunerated land acquisitions; and advocacy for fisherman beaten for fishing in the eastern Vietnam sea, among other causes. The bishop said the detainees told him their greatest worry was “that they don’t know their fate”, particularly after 28 Vietnamese who arrived in Australia by boat were sent back to Vietnam, mid-October. Ten of that number were returned forcibly for not having had a valid claim to asylum – information attributed to the defence department in an ABC report on October 26. “They have another tactic. They call people out and they said, “you go to interview”… and they lock the door and they have the official come to their place and get all their belongings and they send them back quietly,” Bishop Paul recounted the detainees’ having told him. In a letter addressed to the immigration department and handed to officials during the visit, the bishop wrote that Vietnamese Catholics’ claims of persecution were real and substantive. 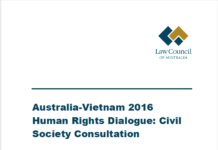 “Our parishes of diocese of Vinh have been cracked down bloodily and brutally by Vietnamese police in Vietnam [sic],” the bishop wrote in the letter, co-signed by two other priests from the region. “The parishioners have been threatened to be arrested and imprisoned. A few among them were so frightened that they fled to many places in the world, especially to Australia and now they are more frightened to go back to Vietnam, especially those who criticised the unfair and lawless acts of communist police and officials [sic],” the bishop wrote. His message to the detainees during his visit was principally pastoral, telling them they should pray to God and Our Lady for strength to face “the challenging time in the detention centre”. 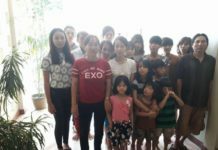 “You are assured of the support of our people in Vietnam and the people here too – the Catholic community here – to support you, but you should pray and thank God for everything that has happened,” the bishop recounted through a translator. “If you get refugee status and you are released into the community you should respect the law of the country where they support you and give you a chance to start a new life. “You have to live as a good Catholic, respecting the people here and the law of the country,” the bishop said. In his letter, the bishop acknowledged detainees had been well treated in the centre with good meals and “luxurious houses compared to those in Vietnam” but that they had not been living in freedom, “their earnest wishes and ours”. The letter contained the names of 26 Vinh parishioners held at the centre and thanked the department for their consideration and assistance. Bishop Paul was the Bishop of Vinh from 2000-2010, a diocese covering three provinces with a Catholic population of 520,000 (out of around 5 million) and 180 active and retired priests. “You can only pray in church. If you want to raise the social issue, you have a trouble,” he said. Although retired, the 88-year-old bishop continues to look after several parishes on account of the country’s lopsided parishioner to priest ratio, in spite of strong vocations to the priesthood and religious life. Bishop Paul, whose previous travels include visits to Italy, France, Germany, the US and Belgium, was invited to Perth to preach at the Vietnamese Catholic Community’s forthcoming celebration of the Holy Vietnamese Martyrs on November 17, having recently preached at Marian celebrations in Melbourne. “Wherever you go, you should remember that you are Vietnamese. You should show the true qualities, the good qualities of the Vietnamese culture. “Secondly, you are Vietnamese Catholics, so you should bring the quality of the Catholic tradition in Vietnam in your education of your children about the faith, especially when you were in Vietnam [where] the catechism [sic] in the church is very very good. So hopefully, you can bring that here. “When you keep your strong faith, that is your contribution to the Church here,” Bishop Paul said.